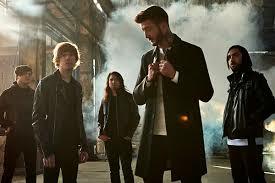 After cancelling their european dates, Of Mice And Men were forced to cancel their australian tour with A Day to Remember due to vocalist Austin Carlile's recovery. Carlile had undergone surgeries earlier this year but never had the time to fully recover before heading out to tour again. Due to Austin's ongoing recovery from recent surgeries, Of Mice & Men are saddened to announce that they will no longer be able to join A Day To Remember on their Australian tour. The band appceciates your understanding and support Austin's daily struggle with his chonic illness, and we want fans to know that he is taking the time and measures needed to recover from his extensive hospital stay. We hope to see you all soon.